Europe gets all the cool wagons, that seems to be one of those truths of the world. We have a few wagons in the US, but not many. 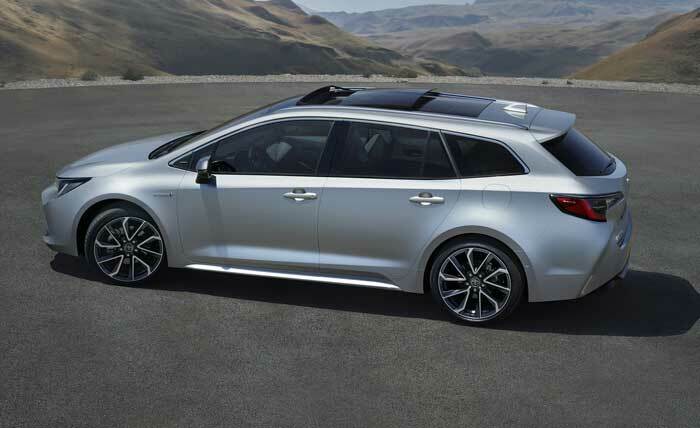 Europeans will have a new wagon from Toyota to check out that should be affordable and looks very cool called the Toyota Corolla Touring Sports. The official debut of the car will come at the Paris Motor Show on October 2. The car will slot alongside the hatchback and offers a much larger wagon body for hauling stuff and people. There will be three engine offerings with a 114bhp 1.2L turbo gas engine. Two hybrid options include a 120bhp 1.8L hybrid and a 178bhp 2.0L hybrid. This will be the first Corolla to offer available adaptive variable suspension. It can be had with a world-first 3D driver’s meter, premium head-up display, a JBL GreenEdge Premium sound system, wireless mobile phone charging and the Toyota Touch multimedia system. Pricing is unannounced as is availability.